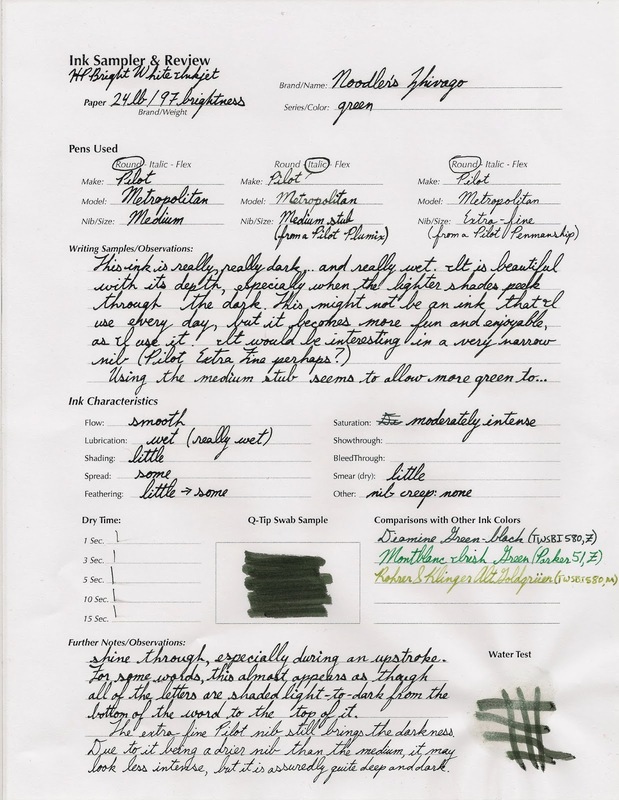 Awesomely dark is this green-black ink. Zhivago has replaced Noodler's Black as my standard black(ish) ink for use with my pocket notebook. Writing small with an EF nib, I enjoy the hint of green. You have to look twice to pick up that it is not black, but it is somehow friendlier. Looking closely at the extra-fine letters on the paper of my review, the hint is just barely there! Furrow Books Comes "Plowing" into Kickstarter! InCoWriMo 2014 Is Over - Giveaway Coming Soon!